* Chip bag not included; chip tray is! The 1100M Entry Package has the basics that you will need to get started. This package includes mill, controller, and owners kit. The 1100M Starter Package has everything you need to get started. Comes with a mill, stand, tooling, and PathPilot console. Standard Package? Doesn’t really do justice to this sneaky-awesome list of accessories and features. Take the Starter Package, add a power drawbar, and an enclosure. With the addition of an automatic tool changer, digitizing probe, and electronic tool setter, you won’t just be CNC milling in style. Rather, your machining swagger will be straight-up, first-class. Standard Package? Doesn’t really do justice to this sneaky-awesome list of accessories and features. Take the Starter Package, add a power drawbar, and an enclosure. You know what you get? A gold-standard Standard Package. Enough torque to cut titanium, stainless, hardened tool steel, and way, way easier stuff. 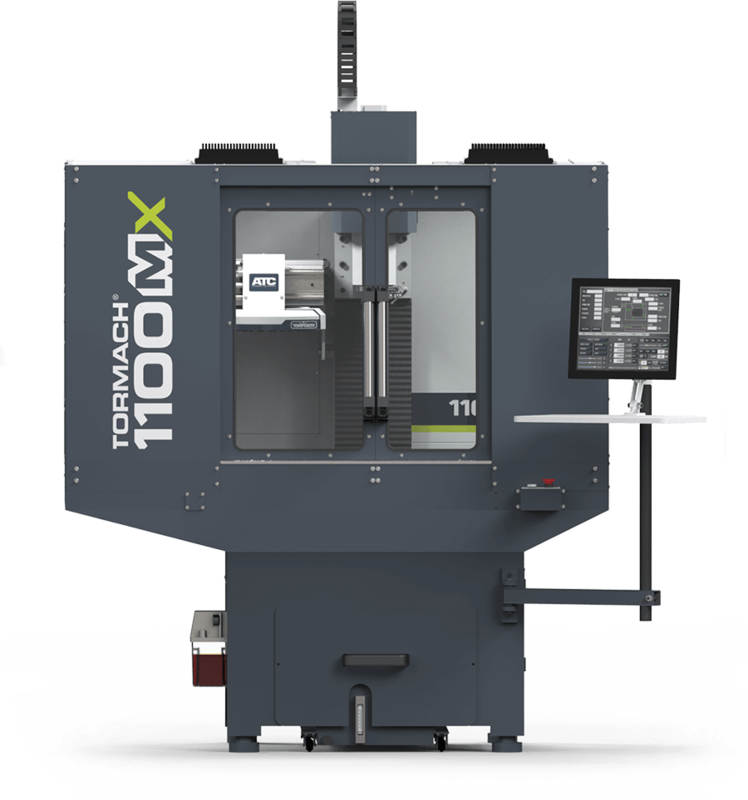 Some people are surprised that Tormach’s machine tools can cut challenging materials like titanium. They get fooled by the budget-friendly price. 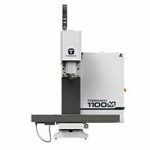 The 1100M’s spindle has enough strength to power through the tough stuff (or softer materials like aluminum, plastics, or wood). 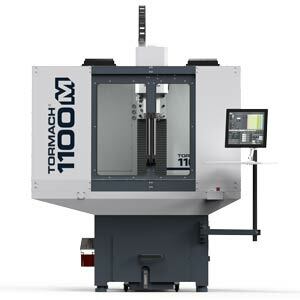 At its price, the Tormach 1100M towers above the competition, but still FIts into cramped spaces. You won’t believe where people squeeze our machines. But there they are, where you wouldn’t expect them, like some sort of CNC ninjas. 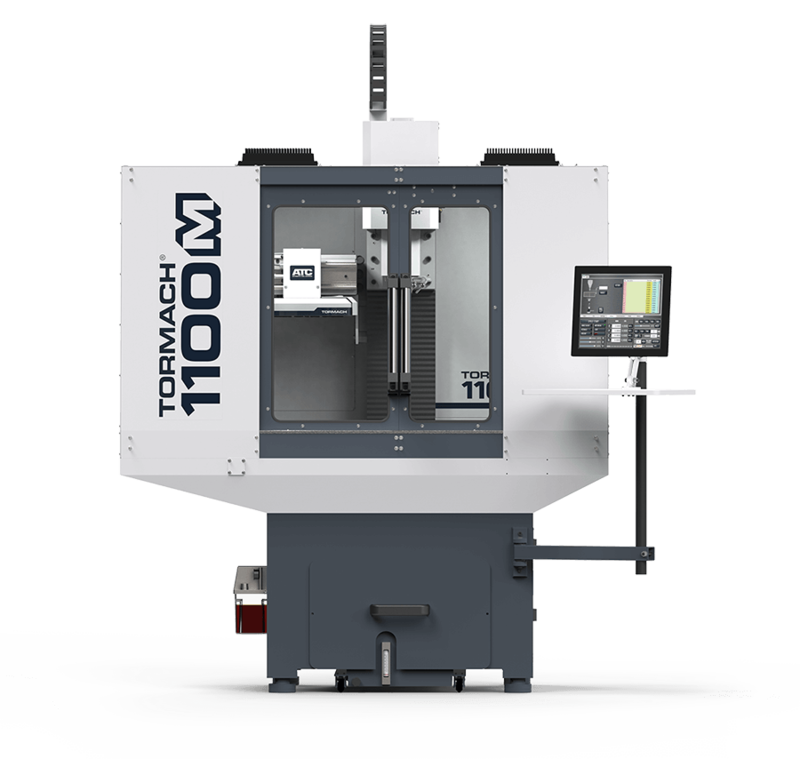 Our machines fit into spaces the big boys simply can’t, and perform with capabilities other small mills simply won’t. We made lots of improvements to our flagship CNC mill. 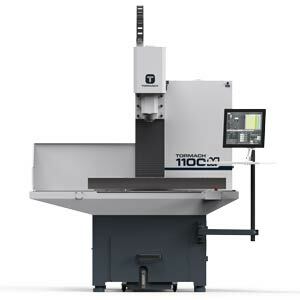 Our 1100M just wants to be its best and serve your shop in useful ways. 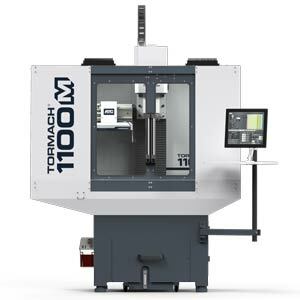 The 1100M is flexible and can rise to the challenge. Multiple work setups, combined with an automatic tool changer (ATC), allow it to be used as a short-run production machine. Plus, use your favorite CAD/CAM to speed time-to-market. DESIGNED FOR THOSE WHO WANT TO TAKE CHARGE OF THEIR MACHINES, PLUS HAVE TECH SUPPORT IN THEIR BACK POCKET. 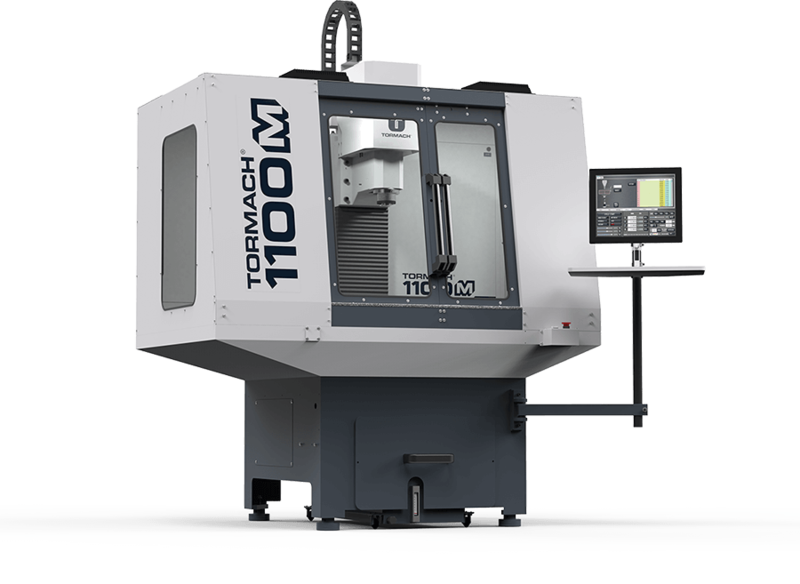 The design of Tormach machines allows for a lower cost of ownership due to ease of installation and maintenance. No additional costs to schedule third-party service technicians. If you need some help, our U.S.-based technical support team is staffed with experienced machinists and electricians. Not a bad ace in the hole! ACCESSORIZE LIKE A FASHION DESIGNER, ONLY FOR CUTTING TOOLS. RUNWAY EXPERIENCE NOT REQUIRED. Buy only what you want, expand capabilities as you need. 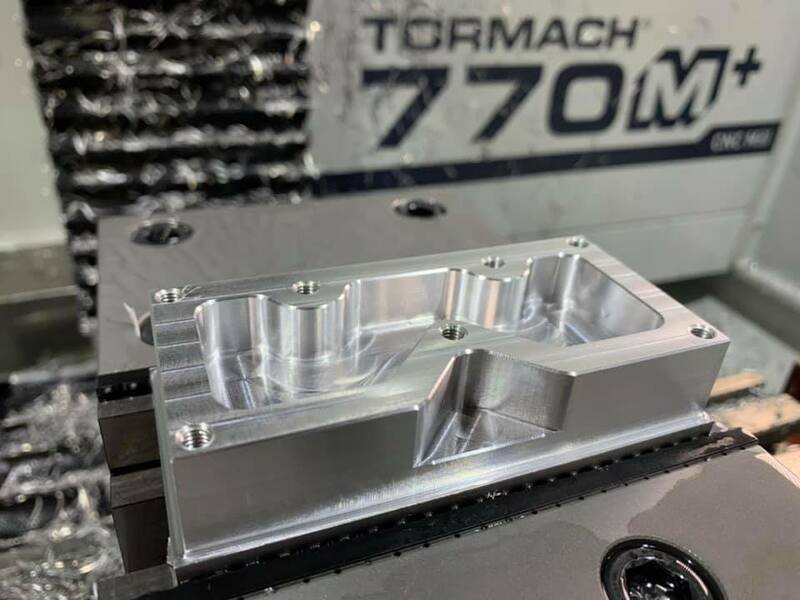 Many owners consider Tormach because they have a set budget in mind. Our machines are modular to let you buy in at a price you can afford. As your operation requires improved performance, simply purchase and install additional accessories. Our newly designed, plug-and-play accessories, like the ATC, 4th axis, or chucker lathe, let you easily and quickly upgrade to increase productivity. The spindle has enough horsepower to easily cut titanium and other tough metals without the risk of damage if crashed. And if you need to replace your spindle after it’s gone to the great CNC machine shop in the sky, spend hundreds, not thousands, to get back to cutting chips. 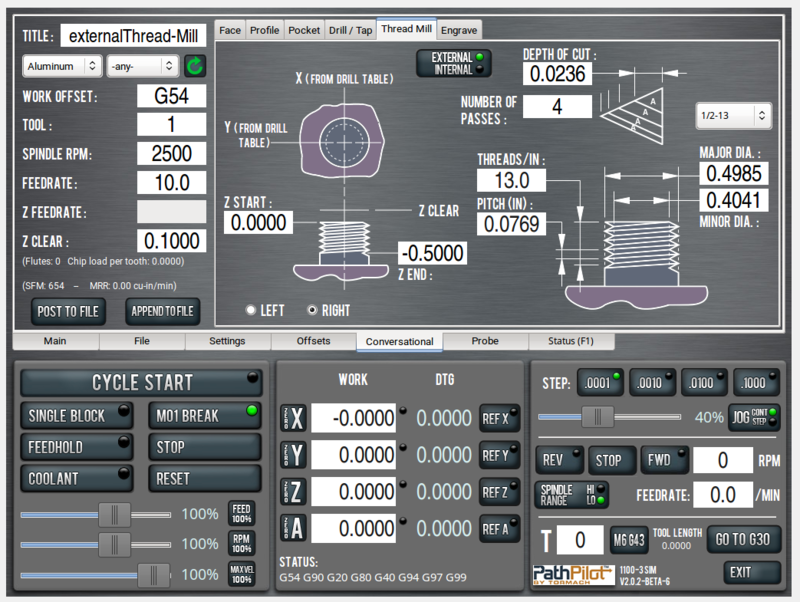 The heart and soul of Tormach machine tools, PathPilot® runs the show and supports simultaneous motion up to 4 axes. Intuitive and powerful conversational programming is baked right in and lets you create programs at the machine — even if you don’t know G-code or CAM! PathPilot includes features like 1000 block look-ahead, conversational programming, and free network support, right out of the box! It’s the 21st century, you’ve got better things to spend money on rather than “options” for a CNC controller! What’s the plus (+) mean? Well it’s a little extra giddy-up! This coming April you will be able to add servo motors to your mill and experience increased rapids and higher accelerations. Servo motors on the table (X-, Y-) and Z-axes will drive throughput and give you the speed you desire. Way Surfaces: Low-friction PTFE-filled, Acetyl-bonded sliding surface. Similar to Rulon® and Turcite®. Note: The 1100M and 770M have similar installation steps, therefore we only have one installation video for the M mills. And it’s arriving mid-year, 2019! Yes, we have had a slight delay. In a perfect world, you’d own one right now. But as disappointing as this delay feels to you and us, we want to provide you the quality, performance, and value you expect from a Tormach machine rather than just try to hit a release date. At Tormach, we strive to do right by our owners: past, present, and future. So keep letting us know what improvements or expansion products you want to see and we’ll keep trying. What more can you ask for? Subscribe to the exclusive MX Newsletter to get updates on the mills as well as M to MX upgrades.